On the Multi Commodity Exchange, gold contract for August delivery was trading down by Rs 88, or 0.27 percent, at Rs 31,950 per 10 gram in a business turnover of 2,730 lots. Gold prices fell 0.27 percent to Rs 31,950 per 10 gram in futures trade Tuesday as speculators cut down their bets amid a weak global trend. 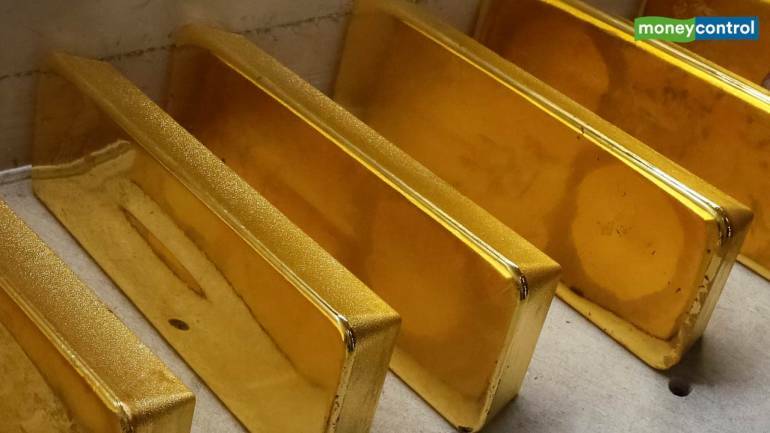 The yellow metal for delivery in June was also quoting lower by Rs 51, or 0.16 percent, at Rs 31,805 per 10 gram in a business turnover of 14,805 lots. Analysts attributed the fall in gold prices to trimming of positions by participants, taking weak cues from the global market. Meanwhile, gold fell 0.12 percent to USD 1,285.30 an ounce in Singapore.